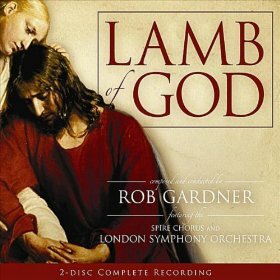 We are THRILLED to announce that the Minnesota Mormon Chorale & Orchestra will be joined by the St. Paul Cathedral Choir in performing the beautiful Easter oratorio ‘Lamb of God’ by Rob Gardner, on Fri. March 11 & Sun. March 13th, 2016. We are very excited to present this glorious music in a new venue, the Ted Mann Concert Hall (Fri night only). The event is free and ALL are welcome. Complete rehearsal schedules for soloists, choir, cellist and narrators will be provided at the first scheduled rehearsal on Thursday, January 14th. Soloist auditions will be scheduled with the director and will be selected by Friday, January 9th. Musicians of all faiths in the Twin Cities and surrounding areas are invited to participate in ‘Lamb of God’. The performance is being hosted by the Minnesota Mormon Chorale, but all are welcome to attend as performers or as audience. All vocal and instrumental positions are volunteer only, with no paid positions. Participation is through audition only. Vocal soloists should contact Erin Gray (egray.mn@gmail.com) to request audition materials. Instrumentalists should contact Kate McWilliams (kate@unprofitableinstruments.com). Soloist Auditions/Requirements**: Tuesday, Dec. 15th (7-9 pm). Other date(s) as needed. Audition times on Dec 15th should be scheduled by sending an email to Erin Gray: egray.mn@gmail.com. Video auditions are also welcome in extenuating circumstances as long as the face/voice is clearly seen/heard. Please note that several soloists may be asked to also learn the choir parts and sing as part of the choir in this ensemble-type performance.